I don’t know about all of you but I am a much bigger fan of Boxing Day than Christmas Day, you still get all the food, chocolates and see relatives but it all feels calmer and less pressurised and you don’t have to worry about offending anyone if you go off into a corner and read a book. If you are anything like me the festive season is all about reading old favourites (some of the Armistead Maupin Tales of the City series), a good gripping crime or two (next read for me), and the celebrity memoir (I am just about to start Angelica Huston, or Jelly Who-who as I like to call her). One celebrity book that I can heartily recommend, and I do have rather a penchant for them on the sly, is Bonkers by Jennifer Saunders who I think gets it spot on. Unless you have been living in a cave or been on the moon since the 1980’s it is very unlikely you don’t know who Jennifer Saunders is. She was part of the Comic Strip before French and Saunders took over the telly box for many, many years. There has been Absolutely Fabulous (which The Beard is obsessed with, occasionally spending the day channelling Edina Monsoon – I know, I know), the Fairy Godmother in Shrek and my very favourite Jam & Jerusalem. Through all these we have come across a lot of Jennifer’s wonderful writing and yet she has always remained rather an enigma, this of course adds to the delight of wanting to read Bonkers. From the start you know you are going to enjoy what is to come. 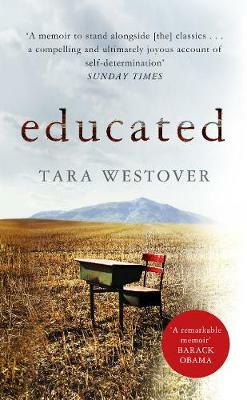 I have been told that publishers these days like a particular type of memoir. They like a little bit of misery. They like a ‘mis mem’. Well I am afraid I have had very little ‘mis’ in my life, and nowadays I have even less ‘mem’. So we can knock that one on the head. Really Bonkers’ tagline gives it all away for you – ‘my life in laughs’ and as a reader you will spend many, many chapters just chortling away. Saunders seems to have chosen to write the funniest moments in her life as sketches that could be in a comedy show, or with subjects like cancer where she became ‘Brave Jen’ to the world she looks for the humour in even the darker parts of her life. She also knows what we ‘the reader’ really want to read about. If you are standing in a bookshop and have accidentally picked me up (as it were), I can guess what you might be thinking. Oh no! Not another celebrity autobiog by someone cashing in on TV fame! Yes! That is exactly what this is. I realize they’re everywhere nowadays. Like a disease. But a lot of books out there are by babies. Biebers and Tulisas. They’ve only been awake a couple of years. Next we’ll have tiny foetuses writing books. The thing that this one has going for it is that I am really quite old. I have also met quite a few celebs, which is always a good sales point. I was told to stuff it with celebs and royalty and a touch of sadness. So unlike some memoirs that I can think of, where the writer spends at least a chapter on every audition they tried and failed at from the age of three until fame came a knocking, or how they spent seventy pages picking the perfect dress to wear for a party when they went to their first celeb bash etc, we get an insight into Jennifer’s childhood, some of her first trips away (one which has a link with Ernest Hemmingway and inspired Edina Monsoon), how she met Dawn French and how that initially didn’t go as we might expect, how she felt about making shows on her own, her dealing with fame, dealing with cancer, dealing with children getting older, all with some lovely celeby stories and lots and lots of giggling along the way. I also felt I got to know her a little bit better, and as she has said herself these are the sort of stories you tell at dinner parties, they aren’t the most intimate of moments but stories you share with people you are getting to know. Interestingly her letters to Joanna ‘Jack’ Lumley, or faxes, and her thoughts on cancer and on the Spice Girls musical closing (not to compare the two) show her at her most natural and funny and honest and rather vulnerable, in both cases letting us in all the more. So a big recommendation for Bonkers, which I think is the most suiting of titles, if you are a fan then you will have already got your mitts on a copy, or found it in your stocking a few days ago maybe? If not then when you next head to your local bookshop, which of course we all do with our book tokens (I got some woo-hoo) after Christmas, then you might want to add this to the ‘pile of joyous books to read over the festive period’ that I am sure we all have on our bedside tables at the moment. If you want to hear more about the book, and have a few more giggles, then you can hear Jennifer and I having a pre-Christmas natter on the latest episode of You Wrote The Book here. Tagged as Angelica Huston, Armistead Maupin, Edina Monsoon, Jennifer Saunders, Joanna Lumley, You Wrote The Book! How is it Christmas Eve already? I hope you are all getting in the festive mood? I have already scheduled something fun and festive for tomorrow, as I am not going to be logging on the internet all day as a) I will be with loved ones b) I will most likely be drunk by about 10am – it is the only way to get through Christmas for me. But before I go all bah-humbug I thought today I would do a couple of posts of Christmas Eve cheer, the first is absolutely fabulous and the second rather spookier. 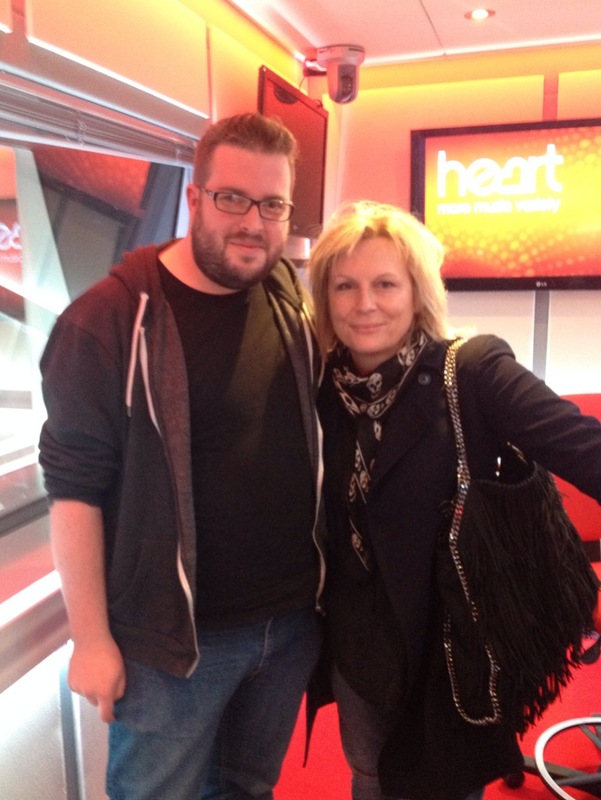 First up though is something very special as a few months ago I had the pleasure of spending an afternoon with Jennifer Saunders. This was to record the Christmas special of You Wrote The Book, but actually ended up with me spending a few hours in London’s Capital Building whilst Jennifer recorded various interviews and shows for the radio etc. and had a good old natter in between recordings and takes, before recording the episode which you can listen to here. It has got to be one of the highlights of my year, if not one of the highlights of my life as I am a HUGE fan (not quite as much as The Beard who has never been so jealous, hopefully I didn’t go too fan boy) and Jennifer was absolutely bloody lovely darling. There was much laughing to be had, so I thought I would share it with you all if you have a spare fifteen minutes in the pre or post-Christmas – enjoy! Filed under Jennifer Saunders, Random Savidgeness, You Wrote The Book! Tagged as Jennifer Saunders, Random Savidgeness, You Wrote The Book!